The One Minute Cannabist (OMC), a leading consumer-focused cannabis education center and Integrative Veterinary Care (IVC), a holistic veterinary practice, today announced a unique alliance to bridge the gap between the veterinarian, the pet parent and the multitude of CBD and cannabis products available. The partnership will provide those seeking alternative approaches to their pet’s health with all-encompassing service options, including cannabis. OMC’s experienced team and programs will dovetail into Integrative Veterinary Care’s holistic approach to veterinary care providing new options and ideas, while further enhancing pet patient care. 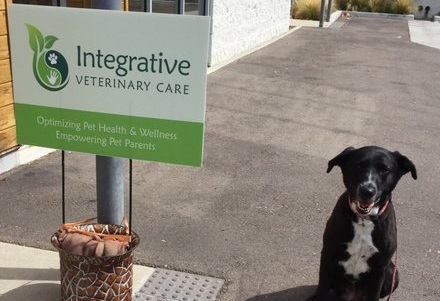 Integrative Veterinary Care maintains the veterinarian patient-client relationship, provides veterinary medical services and recommends the use of cannabis compounds where appropriate. One Minute Cannabist’s certified cannabis specialists and CBD experts provide specific information about how cannabis works with the physiology of the animal, suggests products types, guides purchase options and provides best practice dosing strategies for maximum safety and effectiveness based on years of research and work with humans and pets. The partnership comes at a time of growing acceptance of the cannabis plant across the nation both for humans and pets. On September 27, 2018, Governor Brown signed AB2215, which made it legal for veterinarians to discuss cannabinoid therapies with their patients. This is the first time in California since 1937 that veterinarians may discuss cannabis without fear of having their licenses suspended or revoked. It is anticipated that it will be a full year before the California Veterinary Medical Board (CVMB) develops the guidelines under which veterinarians may operate with respect to cannabis. This leaves those seeking guidance with few options as many veterinarians will first need to become educated on the endocannabinoid system, cannabinoid therapies, products and best practices for use. Integrative Veterinary Care is hosting an open house and pet fair on Sunday, January 27, 2019 at their new brand office located at 11189 Sorrento Valley Rd #105, San Diego, CA 92121. The public is encouraged to visit from 10:00 a.m. to 3:00 p.m. and learn more. Clients of Integrative Veterinary Care may schedule a private cannabis pet consultation with a certified cannabis specialist from One Minute Cannabist at the IVC office in Sorrento Valley, the OMC office in Oceanside or by on-line video conference/phone. One Minute Cannabist also offers a Cannabis for Pets Workshop. Interested pet parents may sign up at oneminutecannabist.com or call 760-760-2020 for more information. One Minute Cannabist Education Center bridges the gap between the person who wants to try cannabis and the dispensary. Founded by Terry and Robbin Lynn, industry veterans and Certified Cannabis Specialists, they specialize in helping people understand and navigate all the latest methods for realizing the maximum benefits the cannabis plant offers. The pair realizes that the lines of medicinal and recreational cannabis use have been greatly blurred over the last two decades and that people are confused and often scared. They’ve made it their mission to change the perception of those who choose to use cannabis, help people understand and move past the negative societal stigma, and elevate the people and the industry through educational workshops, conferences and private consultations. Integrative Veterinary Care was founded by Dr. Katie Kangas, DVM with the vision to provide a positive environment where pets and their people could receive the care, support and education to promote a higher quality of life for all. IVC focuses on preventative health and natural healing or wellness through many holistic options, which can effectively complement conventional veterinary medicine. 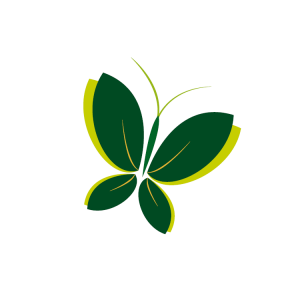 The team at IVC provides services such as nutrition therapy, functional medicine, herbal medicine, acupuncture, chiropractic, cancer support, immune disease and allergy conditions, massage therapy, ozone therapy, essential oil therapy, energy healing and more.